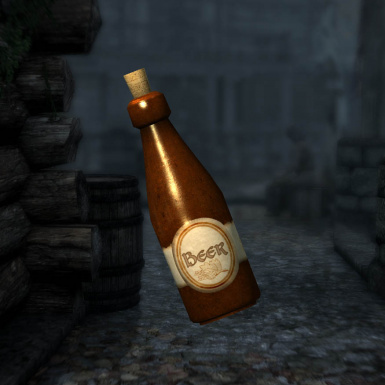 Provides unique textures for every alcoholic beverage in game, corrects categories for existing beverages, and adds numerous new beverages as well as some from other Elder Scrolls titles. 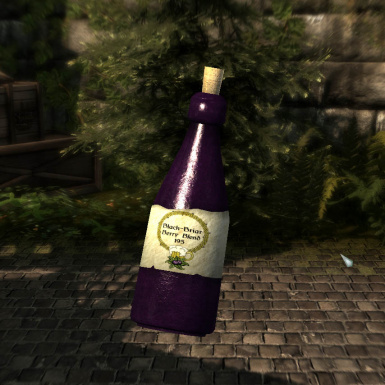 This file is BETA so I am not allowing anyone to use this mod for their mods at the moment. When I release version 1.0, I will set appropriate permissions. 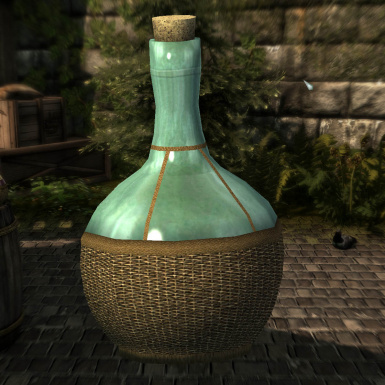 Several bottles are from the Morrowind Style Clutter and More mod www.nexusmods.com/skyrim/mods/24883/?. 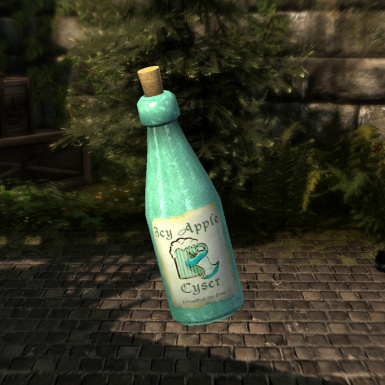 Backstory: I had been using numerous replacer mods but none of the covered all of the existing beverages and the textures varied wildly in appearance. 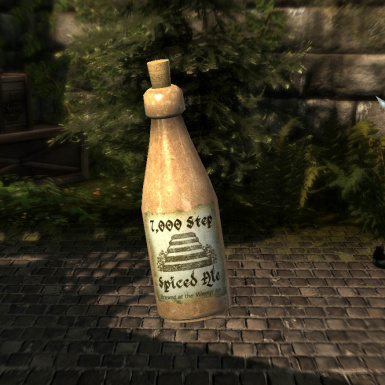 This started life as an attempt to create one mod that changed all the beverage bottles. Then I started adding beverages. Then I decided to tackle another problem - permanently vacant properties. 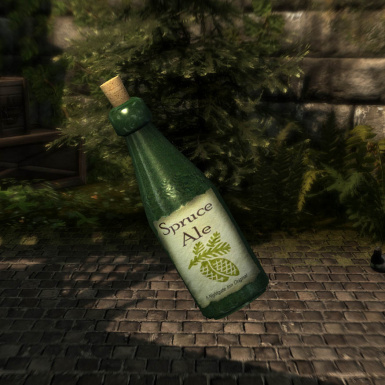 Thus the Spirits of Nirn beverage shop was born...almost. 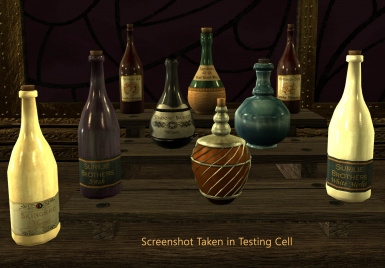 I realized that I would get requests to separate out the drinks from the shop so I did. 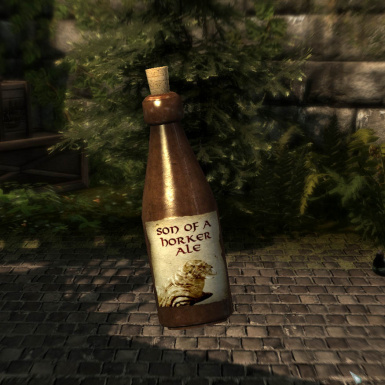 Thus Spirits of Skyrim was born. 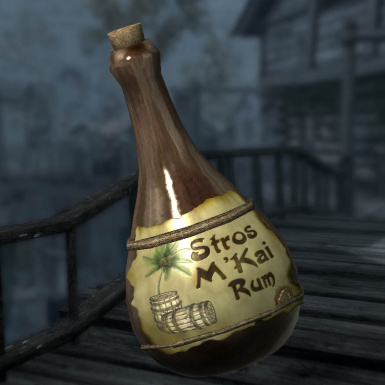 The "Spirits of Skyrim" replaces the textures of all the existing alcohol beverages in the game and adds in many new drinks, some from other Elder Scrolls title and some I created. Yes there are better textures out there. 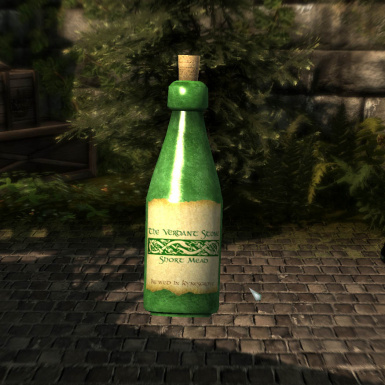 All of my textures are contained within the Data/Textures/Clutter/SpiritsOfSkyrim folder so you can overwrite as needed (you will need to change the texture names to match mine). 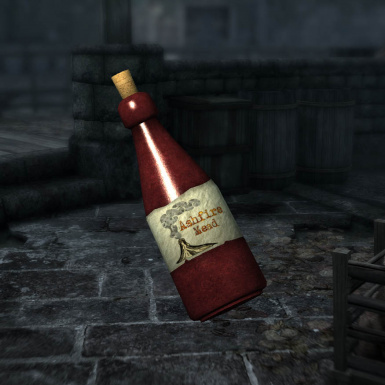 Most textures are 1k. 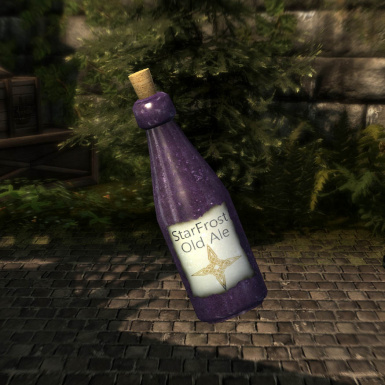 Textures for the bottles I used from a modders resource are a tad smaller but they looked fine to me so I did not re-do them. One texture is 2k but that one isn't available outside of a console command. 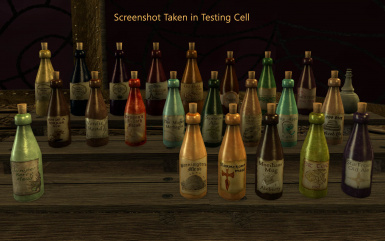 I am NOT a screen archer nor do I use any ENBs. 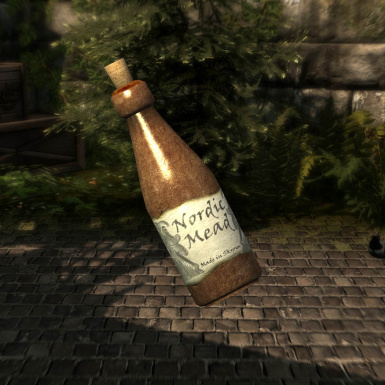 The only lighting mod I use is Relighting Skyrim. anymore. 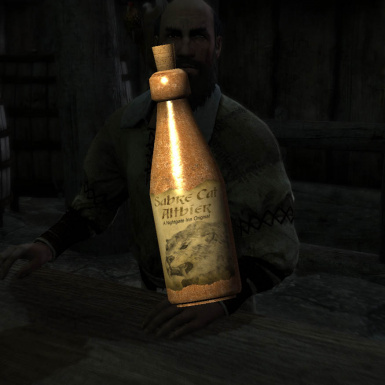 No potions or poisons were altered for this mod, only alcoholic beverages. 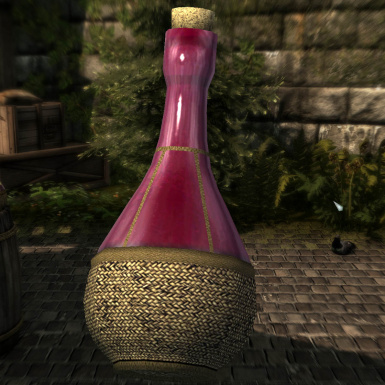 The 4 existing wine bottles have small changes. 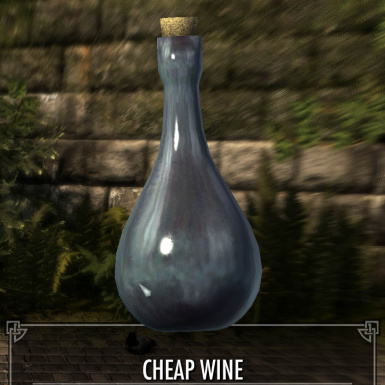 Instead of 2 versions of Alto Wine and 2 versions of Wine, there is now Alto Wine, Tenor Wine, Wine and Cheap WIne. Each is a different coloring. 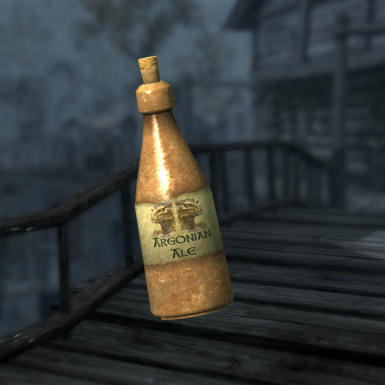 Honningbrew Mead has a different bottle mainly because I textured the wrong bottle and decided to stick with it. 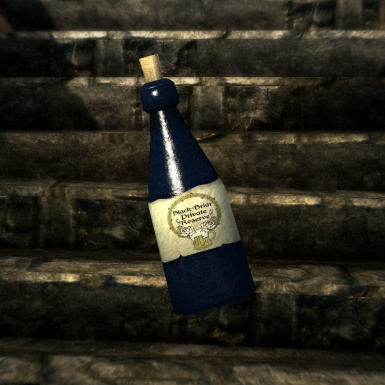 A few bottles had their UV maps tweaked a bit including corks for the bottles I used. 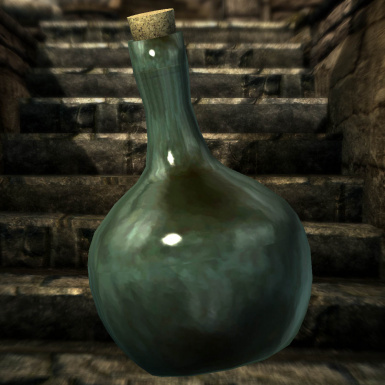 This only affects the bottles in this mod and will NOT affect any other bottle. 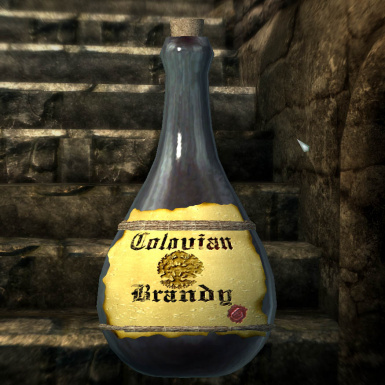 (Caution: beverages & items attainable via console are NOT finished. They may change or even be removed). Mogo's Mead: NOT ADDED (it is added by numerous other mods including Interesting NPCs). 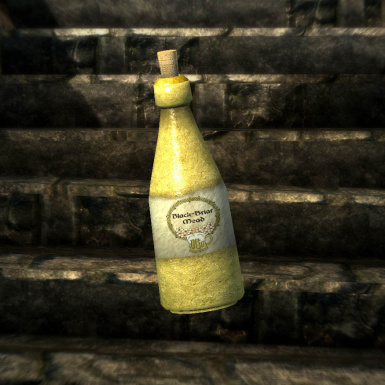 I may do the bottle though since the labels from 3DNPC are fine. 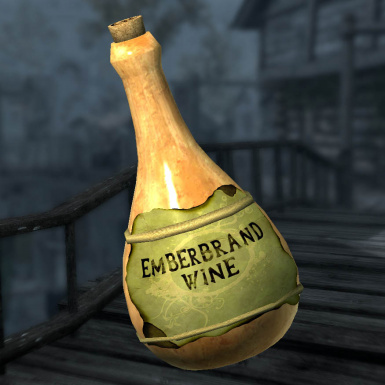 Dead Man's Drink in Falkreath sells "Falkreath Rosy Mead" from Tamriel Online. 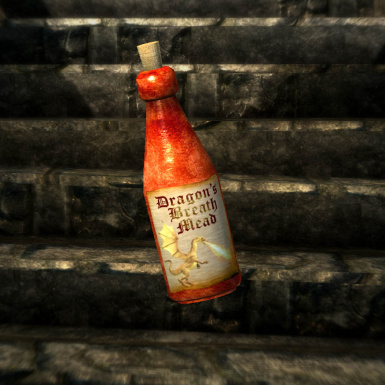 I forgot the Four Shields Tavern so I will likely add the Dragon's Breath mead to their sell list (having additional bottles does NOT effect the quest, even if several are already in your inventory). 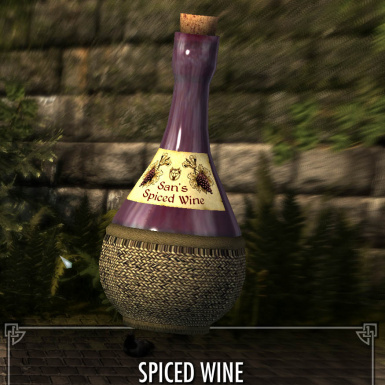 There is a Mage's Mead in Tamriel Online but I didn't realize it until after this one was made. 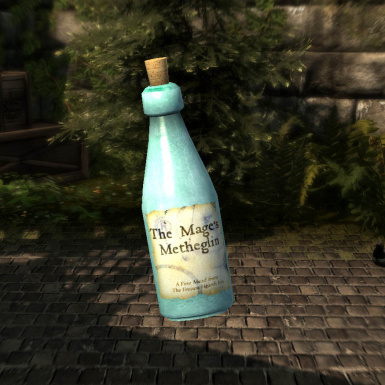 Coincidentally, it is made with metheglin. 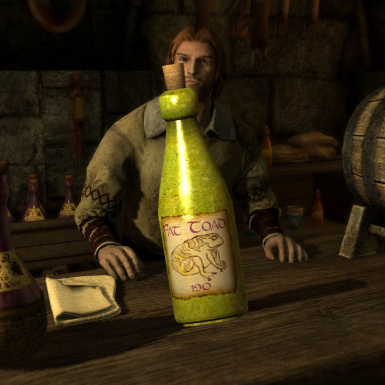 Historically speaking, inns and taverns were often made famous for the mead, wines, beers, ales, sakes, etc that they brewed in-house. 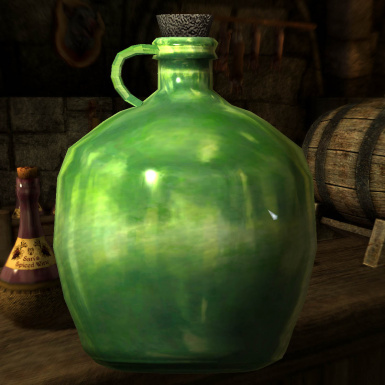 Since the inns are only brewing for sale inside of their own establishments, this does NOT conflict with Maven Black-Briar's desire to stomp out all competition. She looks the other way for the Bee & the Barb drinks (though listed as wines, one is a posset - a mixture of "heavy cream mixed with a blended mead"). 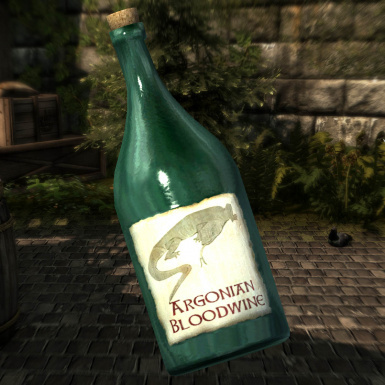 She also fails to mention the 2 non-Black Briar meads sold at the Winking Skeever (at least according to the NPCs). In my view, Maven only wants to prevent large scale breweries from competing with hers. 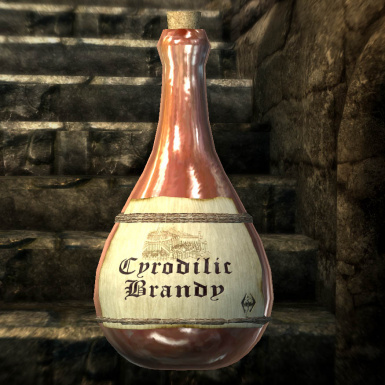 Drinks names are based on regional qualities or the lore of the area. Textures were created in Photoshop, Filter Forge 4, Daz Studio, and come from a variety of sources including my own photographs. If I used a resource that I neglected to credit, please accept my apologies and let me know so I can add the proper credit here. 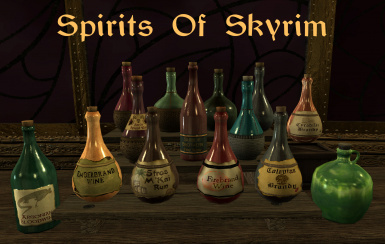 Download and install via your favorite mod manager or placed the SpiritsOfSkyrim.esp and accompanying folders inside the Data folder. 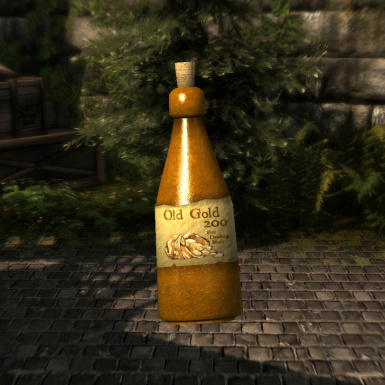 Remove via your favorite mod manager or remove SpiritsOfSkyrim.esp AND the "Spirits of Skyrim" folders inside Data/Textures/Clutter and Data/Meshes/Clutter. 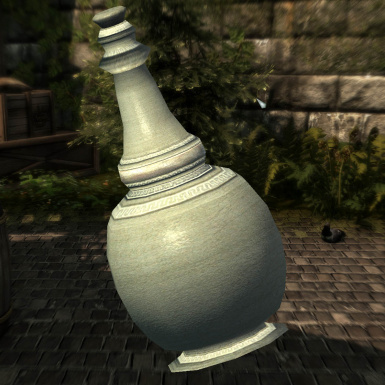 Because this file is still in Beta, I am not giving permission for this file to be used for other mods. When version 1.0 is finished, I will provide more specific permissions. PLEASE DO NOT UPLOAD THIS FILE TO ANY OTHER SITE. 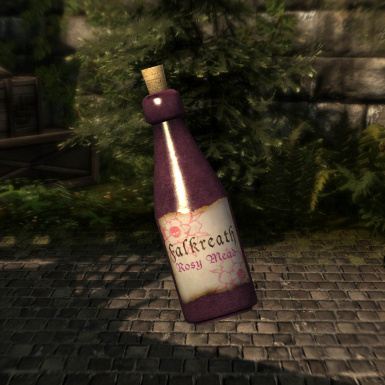 I have uploaded this mod here and to Curse.com only. 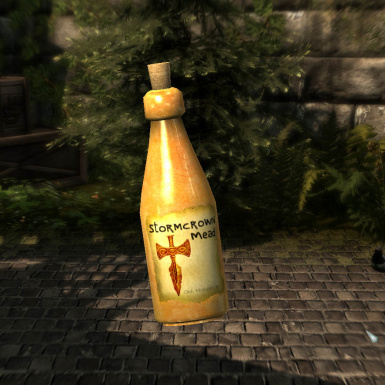 This mod will remain free to download. 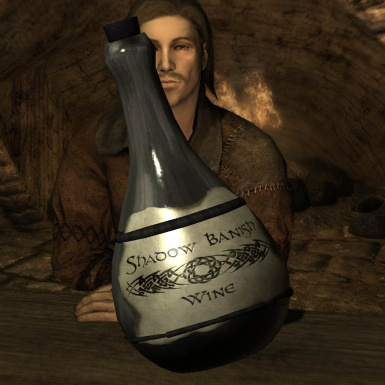 as a stand-alone mod. 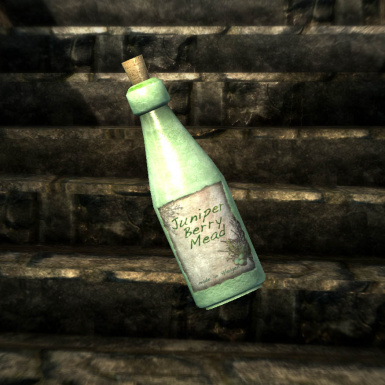 However, not all the drinks are available without the shop. 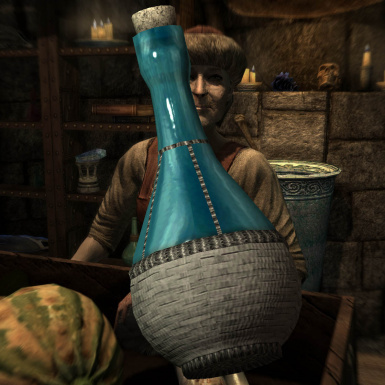 If you want all the new drinks, you'll need to use the console (Caution: beverages & items attainable via console are NOT finished. They may change or even be removed in version 1.0).